April is Child Abuse Prevention Month, a time to acknowledge the importance of families and communities who work together to prevent child abuse and neglect. Pinwheels are the national symbol that represent hope for every child to grow up in a home free of abuse and neglect. 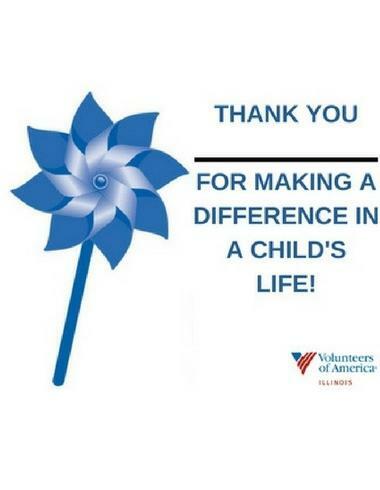 By purchasing a pinwheel, you help raise awareness and funds for the children we serve. Our mission: Volunteers of America of Illinois partners with the people we serve to create transformational and lasting change in their lives. 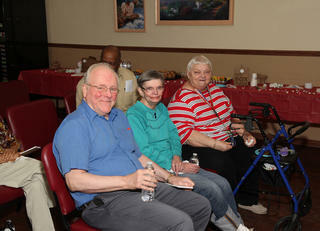 One way that we assist Veterans in need is through our Hope Manor Apartments. 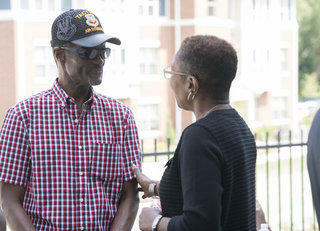 Our Hope Manor Apartments are about much more than simply providing housing for Veterans who are struggling – the goal is to help Veterans change and improve their lives over the long-term by promoting self-sufficiency, building new skills, creating strong support networks and integrating Veterans more positively into community life. 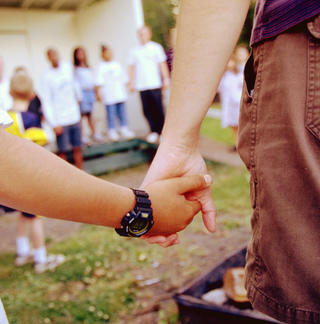 Approximately 17,000 children are in foster care at any given time in Illinois because of abuse or neglect.We recruit and manage a network of foster homes specifically trained to meet the needs of children in foster care. 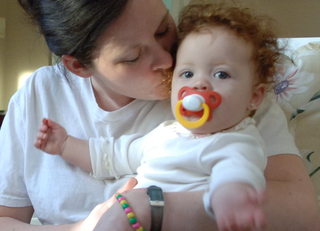 We are committed to pursuing the best permanency option for each child, which may include reunification, adoption or independence. Through our commitment to providing quality, affordable housing for seniors and adults with disabilities, we provide a safe and supportive environment for these individuals who, with limited resources, are often forced to live in sub-standard and unsafe conditions. VOA of IL provides 3 unique housing options for Veterans in serious instability.